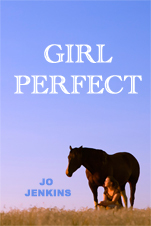 Follow the link at the top of this page to read the first chapter of Girl Perfect, my book about 13 year old Elin who was born with a cleft lip and palate. If you want to know more about cleft then there are links to follow on the right. CLAPA is a good first port of call. It’s a great source of information and support for new parents, as well as those with a cleft.